Its now five days to go before we leave on our Simpson Desert adventure. Things are starting to get serious with all major tasks completed. 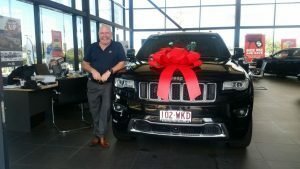 Over the past few months (9 to be exact) the jeep has been transformed from the stock standard Grand Cherokee to one that is starting to look the part as a serious off road vehicle. 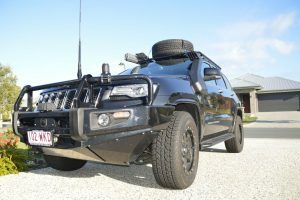 Bullbar, Winch, Underbody Protection, UHF Radio, Awning, Rock Sliders, Roof Rack, Snorkel and Off Road Wheels and Tyres. Over the past week or so, major changes have occurred on the inside as well!